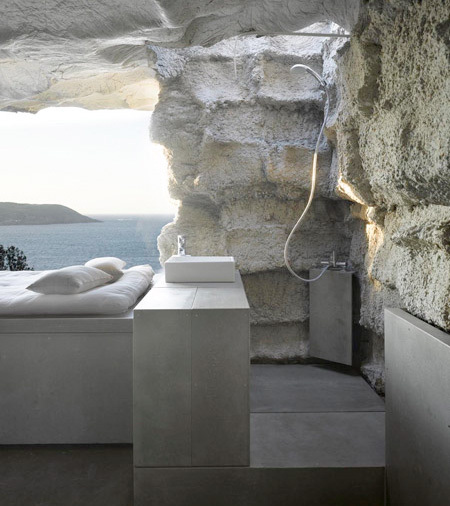 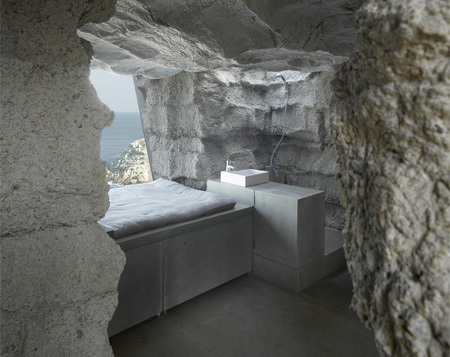 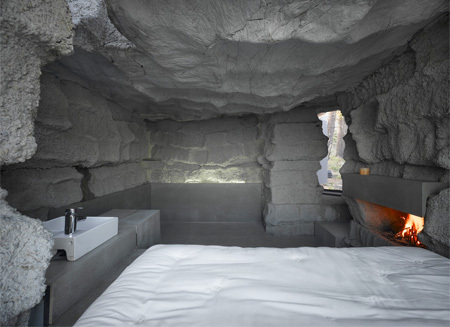 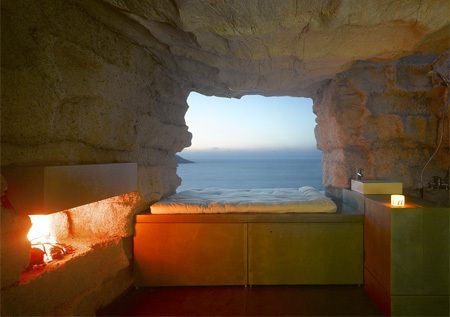 Unique house designed by Ensamble Studio looks like a cave equipped with modern bed, sink, shower, and a fireplace. 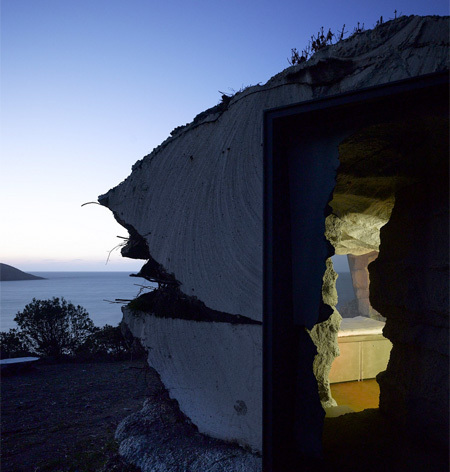 The exterior was made out of concrete and the interior volume was created using stacks of hay. 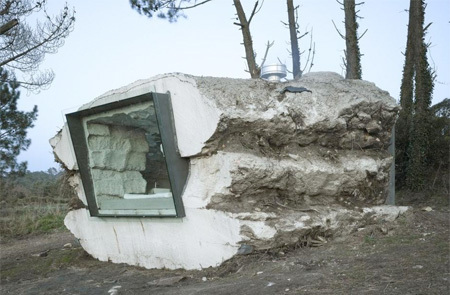 It took one year for a cow named Paulina to eat all the hay and empty the cave. 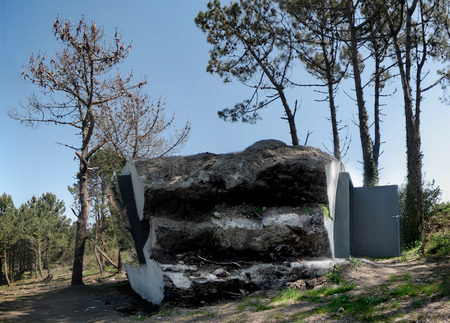 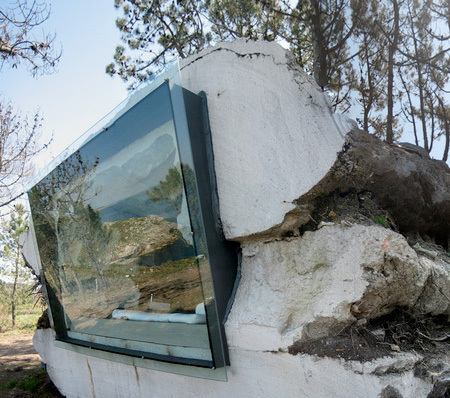 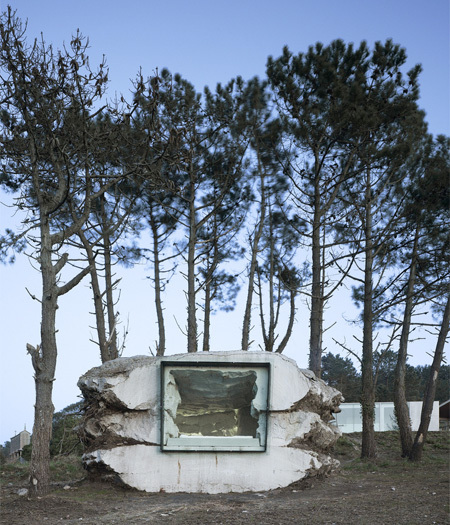 Truffle house is located in Laxe, Spain.